Was Henry VIII a keen footballer? Probably not, but research in the archives by a University of Southampton expert has revealed Henry VIII owned a pair of shoes for playing football. It is already known that the much-married monarch enjoyed tennis, riding and jousting but new investigations by Dr Maria Hayward from the Textile Conservation Centre at Winchester School of Art are revealing more about what was worn in Royal circles at the time of Henry VIII. "Football in Tudor times was a very vicious game with no teams and no rules," observes Dr Hayward. "According to contemporary writer Sir Thomas Elyot it was a game of "beastly fury and extreme violence", so it was not a game for gentlemen. This makes it all the more surprising that Henry had a special pair of shoes for playing football in. The game was apparently especially popular on Shrove Tuesday." She is gathering material for publication about Henry's first Queen, Catherine of Aragon, and an in-depth study of dress at Henry VIII's court with research grants from the Arts and Humanities Research Board and the Paul Mellon Centre for Studies in British Art. Detailed records exist of Henry's wardrobe for nine years out of the King's 37 year reign. "Henry VIII was such a charismatic individual, we are still fascinated by him today. People tend to love him or hate him. People often focus on his six wives and the Reformation but there is still much to be explored, especially about his palaces and possessions," says Dr Hayward. Decrees ruled who could wear what. In theory, Cloth of Gold, sable and the colour purple could only be worn by Royalty but the King could give permission for members of the Royal household to wear these expensive materials and colours as well. Sadly, no clothes or shoes owned by Henry VIII have survived. Many items were given away as gifts and a few pieces still in the royal collection in the 1640s were sold by Oliver Cromwell. However, his wardrobe was listed in the inventory taken of all his possessions (totalling some 17,000 items) when he died in 1547. 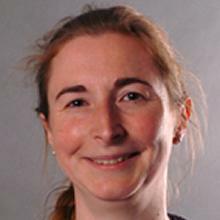 Professor Maria Hayward is a Professor of Early Modern History at the University of Southampton. The Arts and Humanities Research Board (AHRB) funds postgraduate and advanced research within the UK's higher education institutions and provides funding for museums, galleries and collections that are based in, or attached to, HEIs within England. The AHRB supports research within a huge subject domain - from history, modern languages and English literature, to music and the creative and performing arts.